The Formal Oil on panel, 8" x 8," $330. Hope you are enjoying Labor Day weekend. 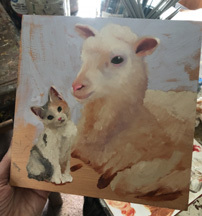 I had two sheep/kitteh paintings planned this week, one didn't work out. Will attach that for giggles. Note to self: Avoid over blending by mixing enough paint to go around. Use more paint!! They are both great, but I love the white ones. 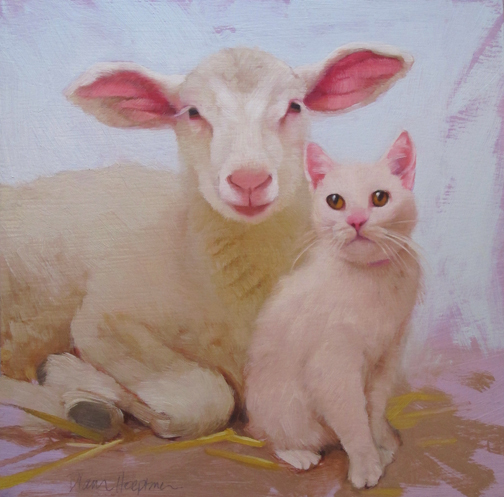 You totally nailed both animals! I love the monotone look!